Elijah Fletcher moved to Virginia from Vermont in the early 19th century. When he arrived in 1811, he tutored New Glasgow students in Latin. He lived in the center of town, about a mile's walk (through the woods) to the wealthy Crawford family residence. He soon garnered an introduction to the Crawford household and, in 1813, married their daughter, Maria Antoinette. Through his connection with his wife, Maria Antoinette, Elijah married into the Crawford Family and, eventually, inherited Tusculum. Maria Antoinette married the Vermont newcomer, Elijah Fletcher, in 1813. 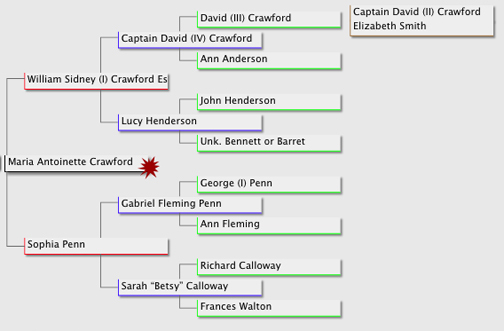 When Elijah's father-in-law died two years later, he became the administrator for the Crawford Estate (and Tusculum).